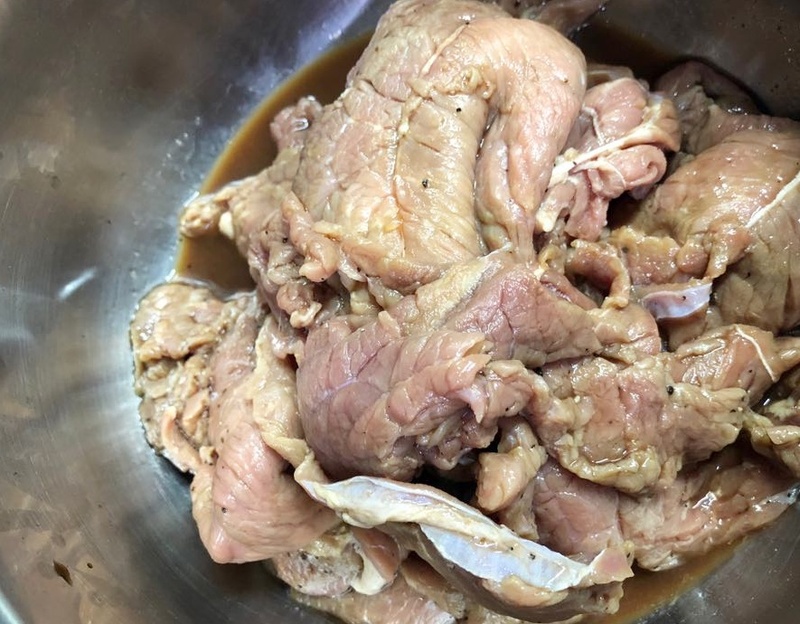 Whenever I crave for that salty and citrus-y Bistek Tagalog, I always end up doing Pork Steak instead as I usually don't stock up on beef inside my fridge. It was one fine day when the lady who sells meat offered me Beef Sirloin that looks so fresh I had to buy them! That night, I was thinking of doing something fancy - like a Beef Steak with hot gravy sauce or something like Korean Beef Stew. At the back of my head, I wanted something "home-y", and our #YayaTab also was craving for Bistek Tagalog. Because I was in a mood for this and a hot plate of rice, I finally made one and it was a HUGE success because it was gone in less than an hour! Beef Sirloin cut into smaller strips. Marinate the beef sirloin with soy sauce, calamansi, salt and pepper for at least an hour. 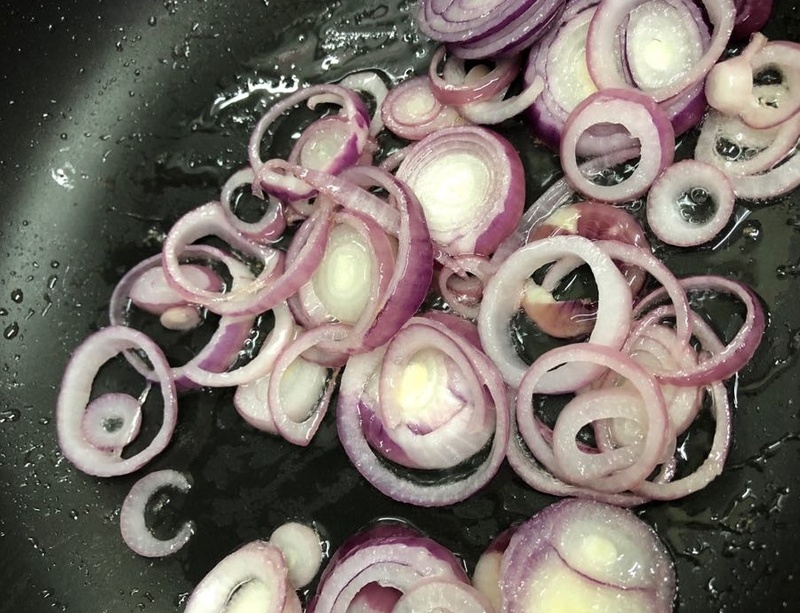 On a hot pan, sauteed onion rings, I used 4 onions because we LOVE onions! Set aside onion rings if you want them crunchy when served. On a pan, cook the marinated beef in low fire, pour the leftover marinade and let it simmer. 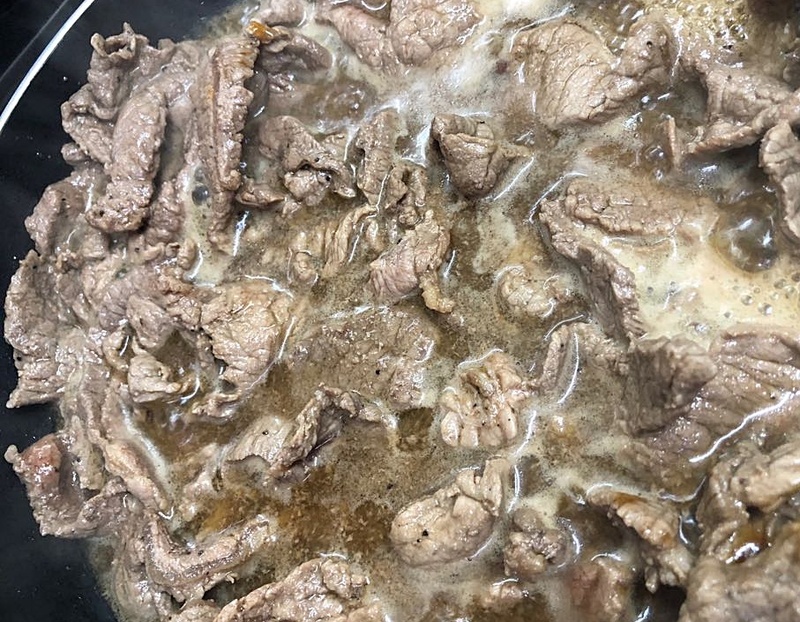 Tip: I have a pressure cooker so I transferred the beef after all sides are cooked in a pressure cooking because it takes less the time and beef is very tender with it! If you don't have pressure cooker, let this simmer at least an hour or more! Put back onion rings before serving! Voila, perfect with rice and your tummy feels happy and contented! 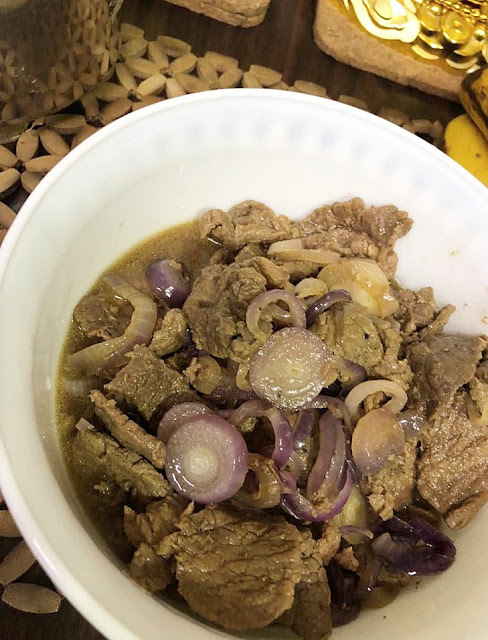 Have you tried Bistek Tagalog? Pwede din ba to lagyan ng cream?